Why you should be mulching now to improve the health of your garden. You are trying to decide if spreading mulch is necessary or not. You're not sure you want to spend the money on mulch materials. Plus, which type of mulch do you need? Of all your garden maintenance tasks, mulching should be at the top of your list because it is beneficial for so many reasons. Plus you can mulch any season! The purpose of mulching will be specific to you depending on your needs. 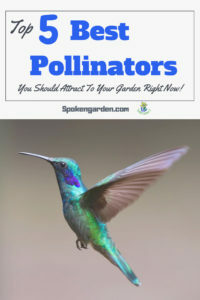 We'll present 7 different reasons for you to consider and why each would be beneficial to the health of your garden. By the end of this post, we hope to convince you why you should be mulching your garden. 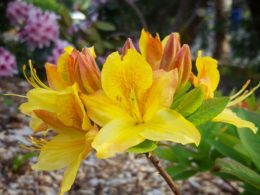 If you are a gardener, whether beginning or more advanced, then you have probably heard of "mulch" sometime during your garden adventures. Mulch is a material placed in and around your garden for different reasons. One thing a lot of people don't realize is that you can mulch any time of year. A good mulch can be just as important to your plants as every other project on your garden maintenance to-do list. Why: This is the most common reason for mulching in your garden and yard. Weeds thrive in gardens where the temperature, light, and moisture are just right. Using mulch can modify your garden so that it's harder for weed seeds to germinate in and underneath the mulch. When the mulch is laid down thick enough, it can lessen heat and light reaching the soil below that to deter any weed seeds from germinating. How: You can suppress weed growth by placing mulch at least 3-4" thick (but no more than 6 inches thick) throughout your garden. The more coarse your mulch is, the harder it is for any weed seeds to germinate on top of the mulch. The mulch material you choose depends on what type of garden you have, or for what purpose. 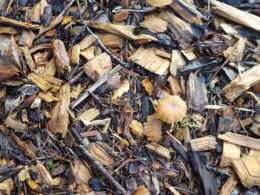 Arborist Mulch is a good example of a coarse mulch to use around your landscape and garden plants. Why: Appearance is the second most common use for mulch. Depending on the type of mulch you choose, it can really add texture, depth, and color to your garden beds. With the right color and texture combination, you can make your garden shine. How: Mulch can either match the colors and textures of your plants or be in complete contrast to give your garden the exact look you want. Darker mulches are great for underneath bright and vibrant green plant material. 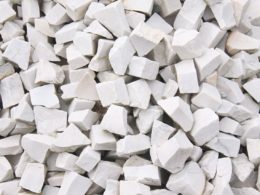 This light-colored mulch works well for darker greens and brighter flower groupings. A lighter mulch works well for darker greens and brighter flower groupings. Medium sized Beauty-Bark or Sawdust are good examples of different colored and textured mulches to use around your landscape and garden plants. Why: Moisture retention is a great reason to mulch. This type of mulching is not usually a reason for beginner or novice gardeners. In drier or hotter climates, this can help your plants not to wilt and help them survive moderate to severe drought. How: By blocking heat and airflow, mulch reduces the amount of water that evaporates from the soil surface, and keeps that water available near the plant's roots for maximum uptake. If your soil doesn't hold much moisture, you can always mix in some compost to increase your soils' water holding capacity. Landscape Mulch (Mulch and Compost Mixed) or Arborist Mulch are good examples of moisture-retaining mulch to lock in soil moisture and be available for uptake by plants. By blocking heat and airflow, mulch reduces the amount of water that evaporates from the soil surface. Why: Protecting the roots from heat or cold is another great reason to mulch around your plants. It provides an added layer so plant roots have a more regulated soil temperature. This way the roots will have less stress or cell damage during extreme temperatures. 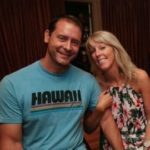 How: Mulch can provide insulation over any area where plants roots might be so that extreme heat or cold won't penetrate to where the roots actually are located and damage the roots. In this case, mulch is an actual physical barrier that creates a protective space. Mulch can physically protect during temperature extremes during both the Summer and the Winter. Temperature extremes can damage roots, drastically lessening growth and negatively impacting water as well as nutrient uptake. Arborist Mulch, burlap, or even leaves are all good examples of mulches to use for protecting and insulating plant roots. Why: Another great reason to mulch your garden is to promote or encourage the microorganisms in your soil. 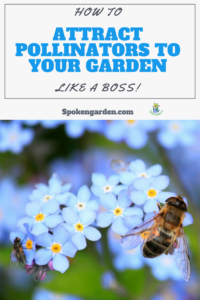 The smaller organisms that live in your garden soil improve your plants nutrient and moisture uptake. This can lead to better plant health, ward off diseases and pests, and increase both growth and flowering. How: Mulches that have or consist of organic matter, whether large pieces or well-broken down plant material, will naturally promote microorganisms to grow and thrive. 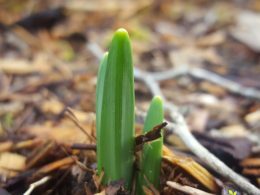 After two weeks to two months, you can turn over some mulch in your garden and will notice a whitish, thread-like growth in mats underneath and within the mulch. It's ok to disturb these areas in the mulch when weeding, digging, or moving plants. The microorganisms will grow back after you recover them with the mulch. Different composts, landscape mulch, arborist mulch, straw, burlap, sawdust, and other organic mulches will exhibit some form or level of microorganisms. Why: Yet another great reason to use mulch around your garden is to create healthier soil. By using natural wood or other kinds of organic mulch material, it will break down over time helping to make nutrient-rich particles for plants to take up and use. How: The breakdown happens even faster when the organic material is wet and there is heat. The material and particles will become part of a new soil profile. 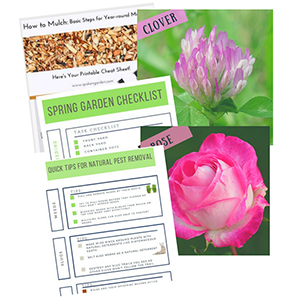 They will also help create a new soil profile in your garden to improve water infiltration and drainage, which also helps to promote healthier plants. Use a variety of mulch over different years to really create great healthy soil below each year's mulch layer. 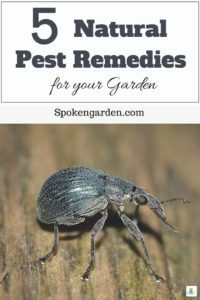 Arborist and landscape mulch, leaves, compost, and needles are good examples of soil improving mulches to use around your landscape and garden plants. Use a variety of mulches over different years to really create great healthy soil below each year's mulch layer. Why: One of the most clever uses for mulching your garden is to help reduce soil erosion or compaction. In your garden, mulch basically becomes a physical barrier restricting soil from either displacing or moving around with water. Also, this protective barrier extends to instances when your garden is walked on or even driven on. How: Mulch takes the brunt of any water naturally falling down around plants or from irrigation systems, or even flooding where the soil underneath is not disturbed. Mulch can protect the soil around your plants' roots from being displaced, too, which also improves soil drainage and keeps it more constant. When force is repeatably exerted by the weight of foot traffic, mowers, equipment, or vehicles, your garden soil is pressed further down and together. This is soil compaction, which creates smaller pore spaces for air, water, and nutrients to be deposited and be taken up by plant roots. Compaction also makes it harder for plant roots to grow through and this can result in smaller plant roots systems. 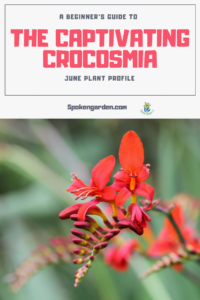 This results in smaller surface areas for water, air, and nutrient uptake for any plant, and also a less stable plant because it is not as anchored in the ground as it could be in uncompacted soil. Larger and coarser mulches are great for lessening compaction in your garden. Good mulch examples of this are Arborist mulch and Engineered Wood Fiber. Mulch can protect the soil around your plants' roots from being displaced which also improves soil drainage. Mulch can come from natural or synthetic sources. Also, the variety of mulch options come in different colors, shapes, sizes, and textures. Different types of gardens may have different mulch needs but it all comes down to your personal preference. What color do you want your mulch to be? How long do you want it to last? These are both questions you can ask yourself to get started. As a general reference for landscaping, below are some suggestions to consider based on the type of garden you may have. For flower or ornamental gardens, we recommend "Arborist Mulch" for your beds. 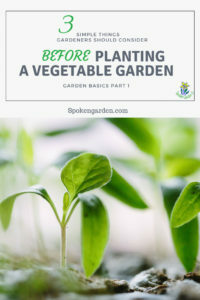 It breaks down and actually creates new soil thus improving the health of your garden over time. Vegetable gardens prefer hay straw mulch or compost. 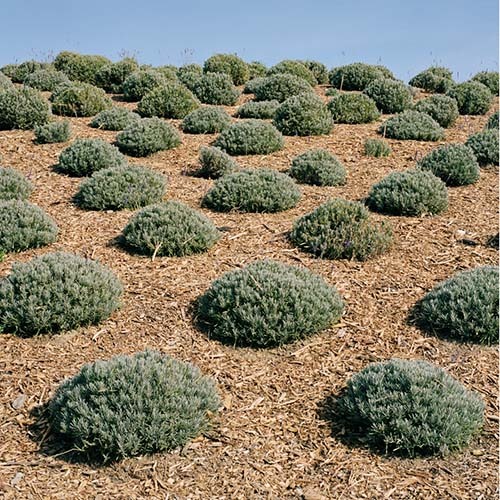 If you have a mountain or desert-style garden, rock mulch would be the preferred type of mulch. For a forested, shady garden, leaf or pine needle mulch would be preferable. Just be aware of the acidic-tolerance of your plants as pine needles are fairly acidic. Lastly, for a beach garden, use sand mulch, aggregate rock, or seashells! Be creative. We have spent multiple seasons mulching all our garden areas and these tools are highly recommended for successful mulch spreading. Don't risk injury by not using a wheelbarrow, pitchfork, or other necessary items. As you have read, the benefits of mulching far outweigh the disadvantages. Whether you want to control weeds, retain soil moisture, or reduce soil erosion, mulching can help! By encouraging microorganisms, a good mulch will improve the health of your soil and enhance the quality for years to come. With the right tools and mulch material, you can achieve your desired garden look with just a bit of elbow grease. Why mulching is important and how it will improve the health of your garden. 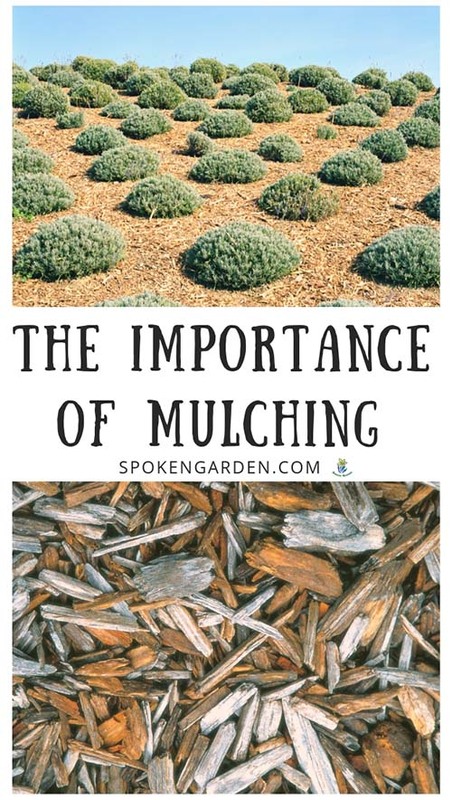 Click the graphic above to save "Purpose of Mulching" to Pinterest for later!